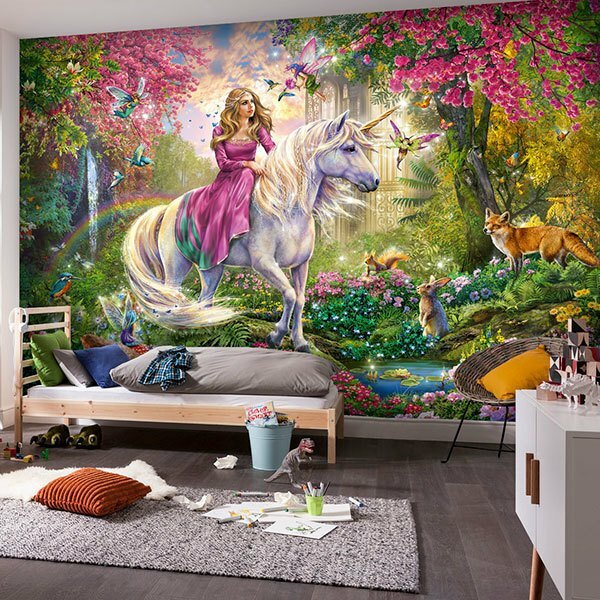 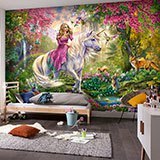 Wall mural The princess of the unicorn. 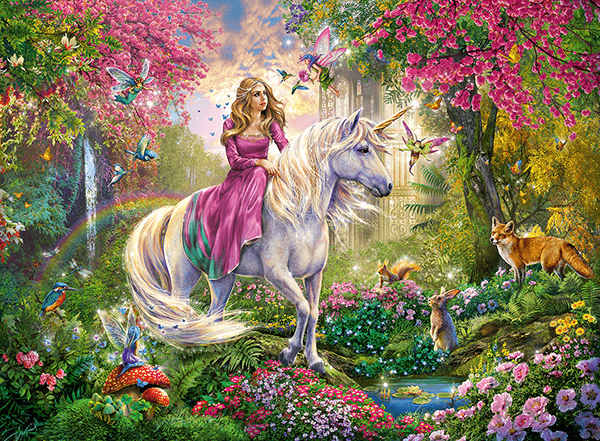 Fabulous illustration of a young and beautiful princess mounted on her majestic white unicorn. 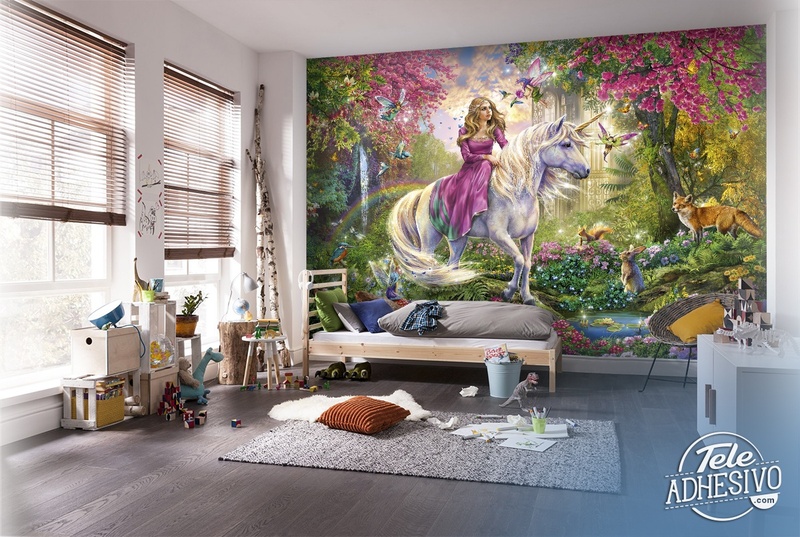 They walk through a fantastic garden full of colorful plants and flowers where real animals like rabbits and foxes greet them, and fantastic beings like fairies.